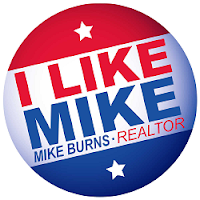 Mike Burns is a realtor who specializes in properties located in northern Utah County. Mike has been a licensed real estate agent for over 13 years. He is experienced working with buyers as well as sellers. Over the years I have been very impressed with Mike's work ethic and his knowledge. He is one of the smartest guys I know and is a true professional. He tells it like it is and doesn't play games with his clients. Mike's knowledge and experience makes him a valuable resource. If you have any questions about listing your home, purchasing a property, or any real estate related questions, you should give him a call. Mike has a website called North Utah County which has some great information about buying, selling, determining the value of your home, making home improvements, maintenance tips, and much more. You can also contact mike Via his Facebook page.